Chennai: World number one Viktor Axelsen of Denmark is glad to see several young badminton players emerge from India and other countries, which he said is good for the sport. "A lot of good young Indian players are coming through. It is very nice. Also, players are coming from other countries as well. It is good for badminton," the reigning world champion said. 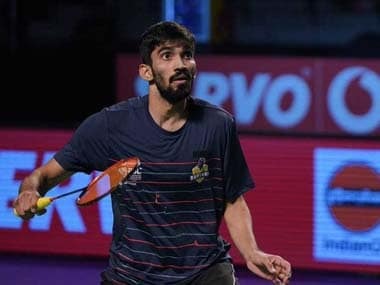 Talking to PTI ahead of the Premier Badminton League's (PBL) Chennai leg beginning from Friday, the lanky Dane said Indians shuttlers like Kidambi Srikanth, HS Prannoy and the other were good players and one has to prepare really well for matches against them. "Of course, they are really good players. I respect them a lot. When I play against an Indian player, I really prepare well. Otherwise, you will really lose," he added. Asked who his toughest opponent was, the World No 1 said there were several who could win big tournaments on their day. "There is Srikanth, Prannoy, Lin Dan can also play well. Chen Long, Lee Chong Wei... There are a big group of players in the men's singles category, who can win tournaments," he added. He said PBL was good for the game and was helping younger players gain experience and improve. "I think the PBL is a really good chance for many players to come here and play well. And get some good matches and good experience. It is really good match practice," Axelsen said. The Danish shuttler further said he liked playing in India and the PBL adding the crowds here were very nice. "I love coming to India. I have been playing well in the Indian Open as well. I am happy to be here," he added. The world champion, who has been critical of the world body (BWF) with regard to the schedule for 2018, said a long season was not good for the players physically. "Yeah definitely. I think that more tournaments will be tough for the body. So, you really have to take good care of yourself," he said. The Dane, who has won the Dubai Super Series Finals twice in a row, criticised the new rules, terming the new service rule to be tested at the forthcoming All-England tournament as "ridiculous". "I think the new service rule is a ridiculous rule. I think it is not wise to try it out at the All-England Championship, the most traditional tournament that started out there. Changing so many rules is not good for the sport," he said. "The points system may be good. I think the service rule and the other stuff is a bit hard to understand," he added. Axelsen had a memorable 2017 and achieved the World No. 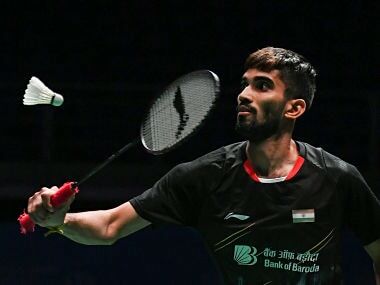 1 ranking in September, following his good run which included a maiden gold at the World Championship in Glasgow and now aims to do well at the All-England and the Worlds. 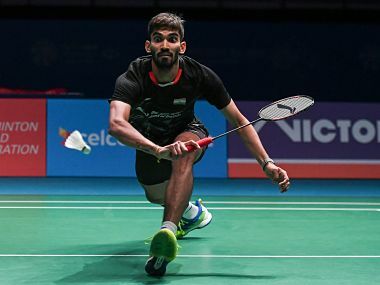 "My target for the year is All-England, the World Championship and Thomas Cup," he noted. The 23-year-old shuttler said the legendary Morten Frost was a huge inspiration for players in his country and he too looked up to him. "Every player.. Peter Gade, me.. has been influenced by Morten Frost. Badminton is becoming popular in Denmark because of the good results achieved by the players," he pointed out.